I didn't make bento for my kids today because they were dismissed from school at 12.00PM. So I just took pictures of their breakfast for today's post. Nothing special for all time kid's favorite breakfast ... it was just pancake. 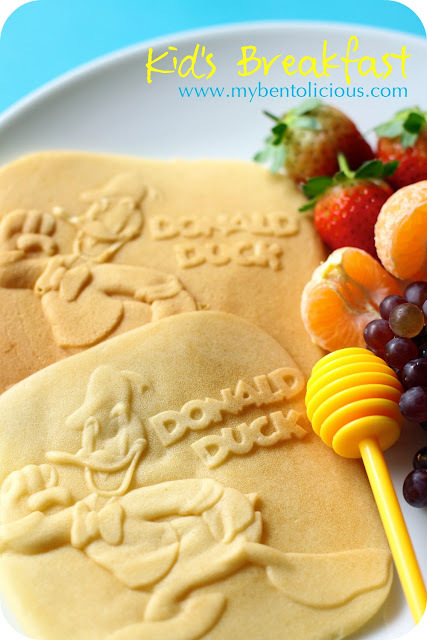 But what make this pancake special is because of this cute pan with Donald Duck character on it. The other one that I have is Mickey Mouse (will post it later). I am happy with these cute pans until now. They are easy to use and easy to clean as they come with non-stick coating. It really prints out the character perfectly. I picked up this pan when I traveled to Taiwan last year at Japanese Store 'Tokyu Hands' (it calls Hands Tailung in Taiwan). I think this pancake will be nice to put in bento box too, don't you think? Is this bento a meme? You spend a lot of effort making up your bento boxes. Puts my son's lunch box to shame. You are the second person I knwo called Lia. My Indonesian's friend's daughte is also called Lia. So simple yet so effective! My kid would LOVE this pancake and get such a kick out of it! I'm telling you, you get the most amazing things in Asia... Great breakfast! Oh Lia, this is absolutely beautiful. 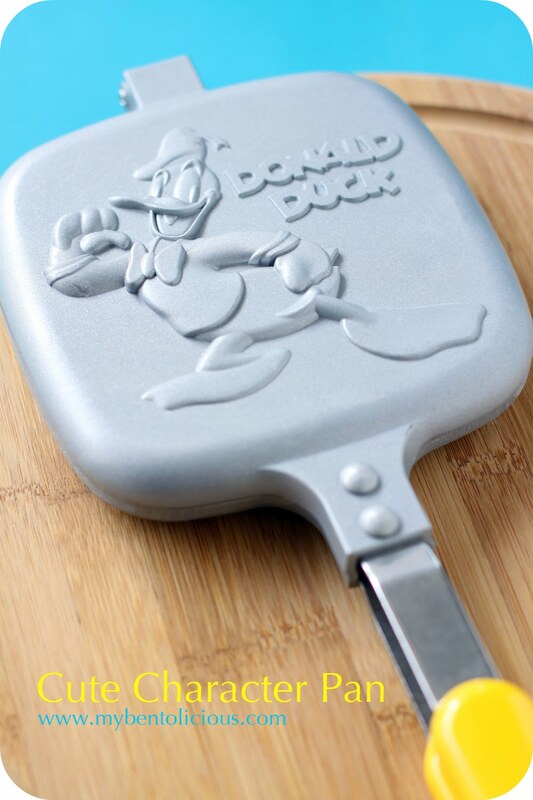 Love the pan hope can get one when someone travels to Taiwan. Such a beautiful and even pancake.... And I love the character, too. Can't wait to see Mickey pancakes. @Jenny : Thanks Jen for your nice comment! This gadget is cool. Is this your first time prepare pancake? The result is great!! That is so cool!!! The pancakes are perfect! Wow that is so adorable! Your pancakes are perfect Lia! adorable! you always have the cutest fun accessories, and really know how to make everything come out perfectly, including the lovely photos!